Share the fun and excitement of playing dressing-up with Minnie, Daisy, and the whole Clubhouse gang, because youre invited to Minnie's Masquerade, a costume party where everyone wins a prize. 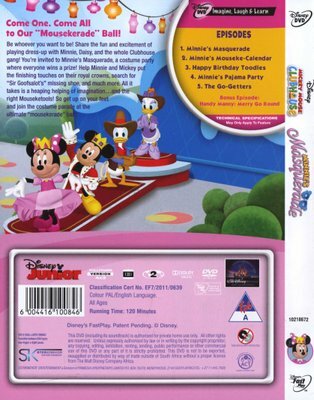 Help Minnie and Mickey put the finishing touches on their royal crowns, search for "Sir Goofsalot's" missing shoe, and much more. All it takes is your imagination and the right Mouseketools. 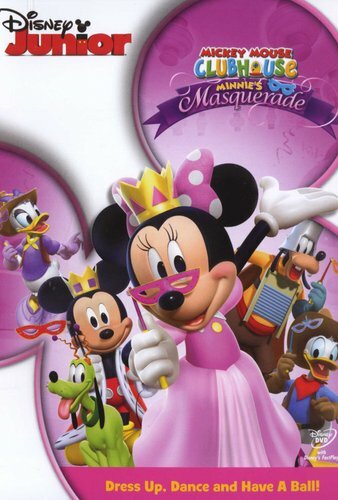 So get up on your feet and join the costume parade at the ultimate "mousekerade" ball!